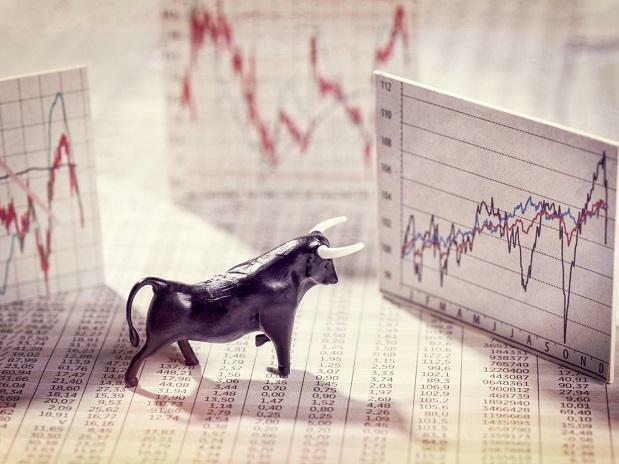 Global stocks are currently trading at a 10 per cent discount thanks to the trade war — a gap which could eventually close if reports the US and China are close to a deal are true. Strategists at UBS Group AG including Yianos Kontopoulos isolated the impact of equity moves on “trade shock” days to show the MSCI AC World Index has been hit by almost 10 per centage points since the dispute started. European stocks have been most hit with the Stoxx 600 Index showing a near 13 percentage point impact, and Australian stocks the least with just a 0.4 per cent hit. 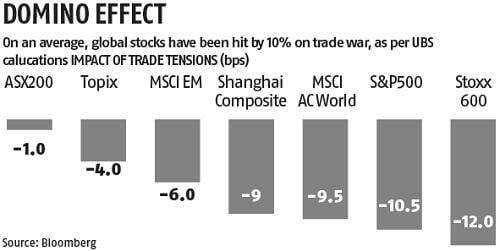 The MSCI Emerging Market (EM) index, which comprises of China and India, has had an impact of 6 percentage points. The US and China are close to a trade deal that could lift most or all US tariffs as long as Beijing follows through on pledges ranging from better protecting intellectual-property rights to buying a significant amount of American products, according to people familiar. One of the remaining sticking points is whether the tariffs would be lifted immediately or over a period of time to allow the U.S. to monitor whether China is meeting its obligations, they said. Bank of America strategists said in a note last month US stocks could hit a new record high should a “real deal” with China be struck, while JPMorgan Chase & Co. strategists led by Marko Kolanovic estimated in June that market reactions to trade headlines had yanked $1.25 trillion in value from American shares.